Sparkling sweetness for your lobes. 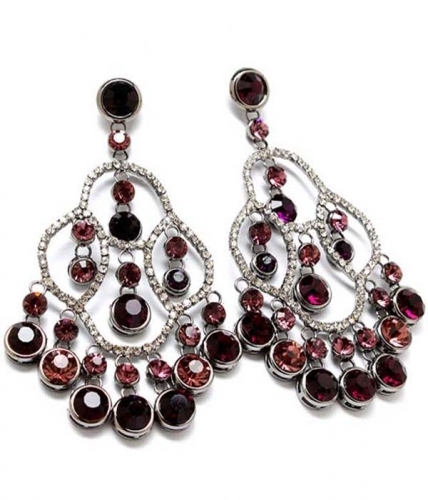 The Maeve Chandelier Earrings are a dangling effusion of silver and crystals in garnet, ruby, and pink tones. Add an element of colour to your night time ensemble. If it's high quality, cheap jewellery you're after you found it. Grab your bargain today!